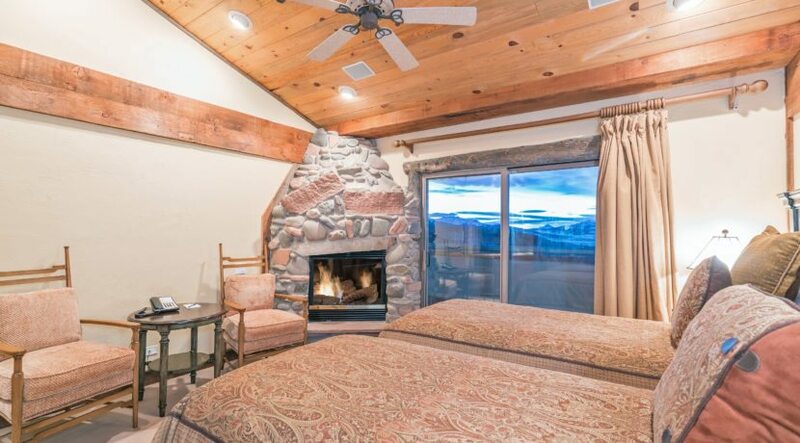 Located in the Peaks Resort in the heart of the Telluride Mountain Village, this amazing 2 bedroom/2 bath mountain and forest inspired penthouse condo is the perfect vacation hideaway. 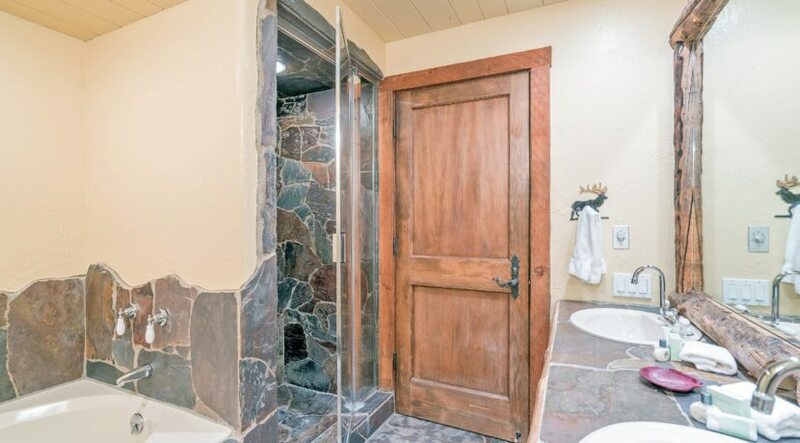 The master bedroom features a king bed and en suite bathroom with a jetted tub and separate steam shower. 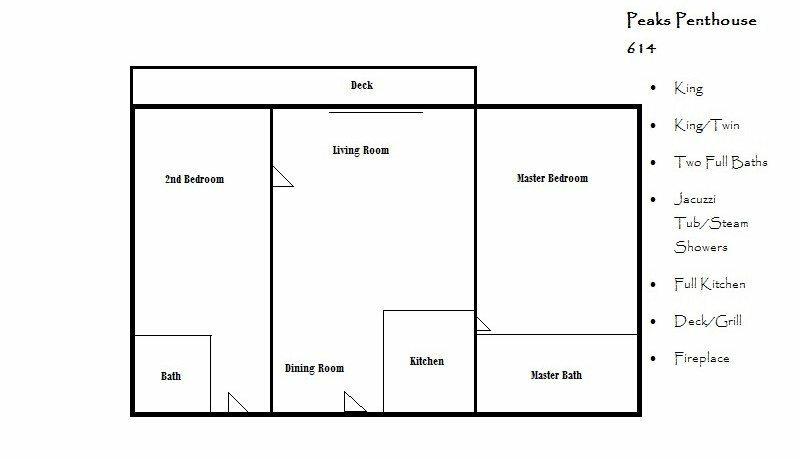 The second master has a fireplace, balcony access, en suite bath with jetted tub and separate shower, and can be set up as either two twins or a king bed. The living and dining area is open concept and features a stone fireplace, balcony, and large dining table with seating for 6. 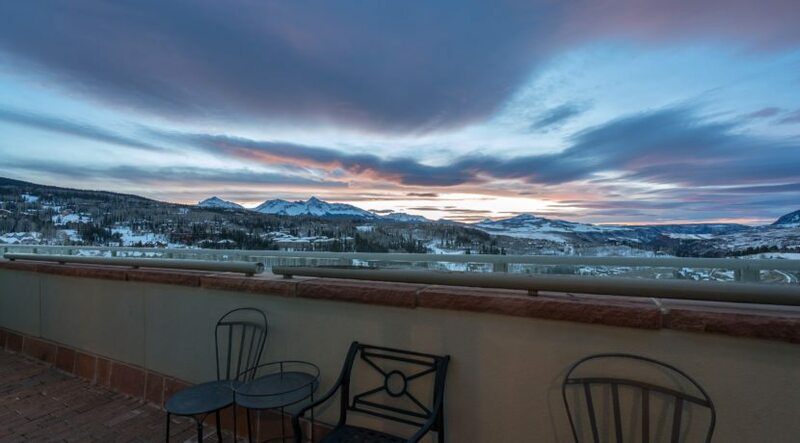 The penthouse balcony enjoys stunning views of Wilson Peak, the ski area, and magnificent sunsets. 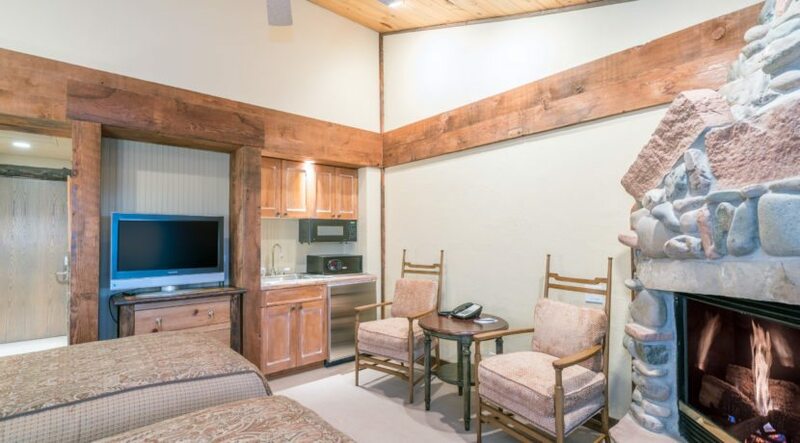 The galley style kitchen is equipped with full size appliances and fully appointed with cookware and dishware. 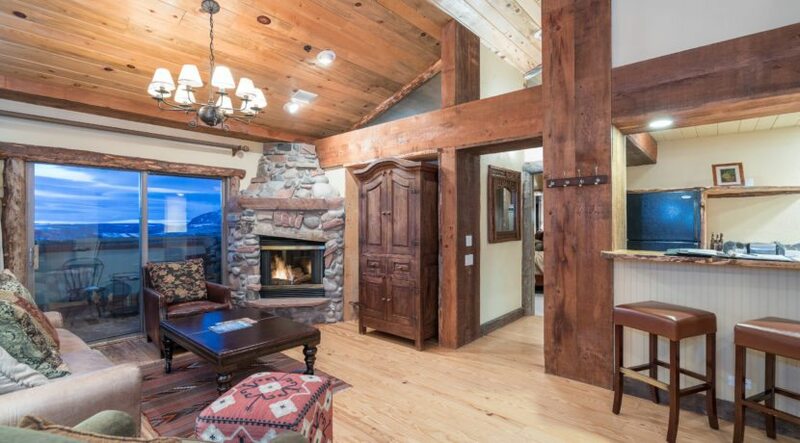 The décor of this penthouse condo truly embraces the western mountain setting of Telluride with natural wood, stone and log accents. 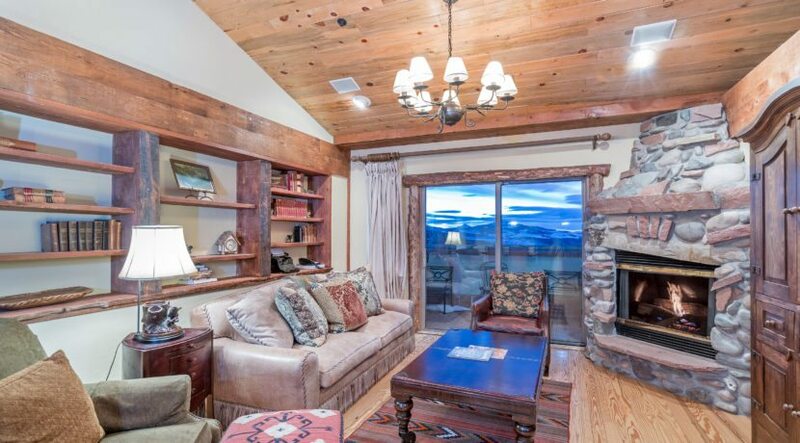 This home is perfect for a small family or two couples traveling together who want a rustic mountain retreat combined with the comforts the Peaks Resort for their Telluride vacation rental property. 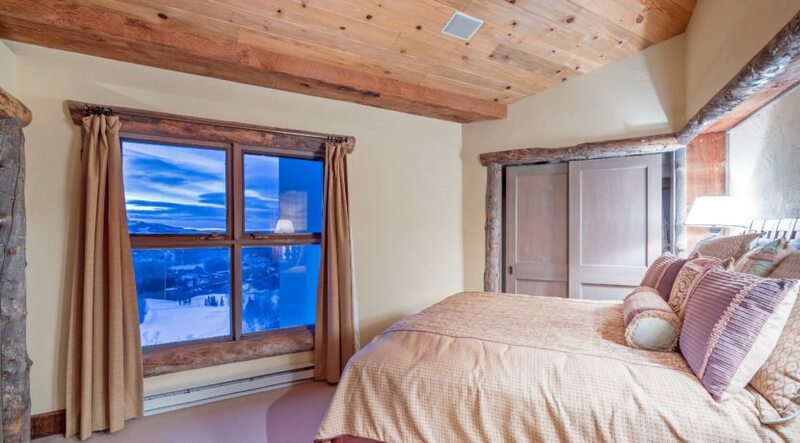 The Peaks Resort is adjacent to the pedestrian core of Mountain Village, just steps from world class dining, shopping, nightlife and the gondola to downtown Telluride. 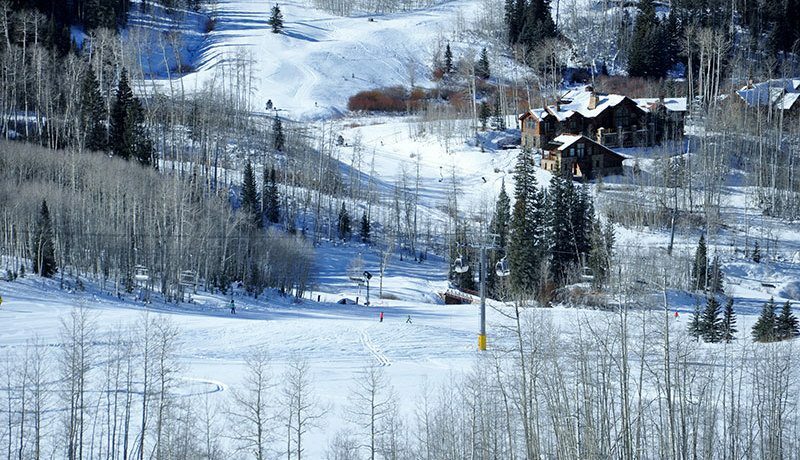 Also enjoy premier ski-in/ski-out access to the Telluride Ski Resort at the complimentary ski valet inside the hotel. While in residence at the Penthouse, guests enjoy complimentary use of the 42,000 sq ft Spa at the Peaks – the largest in North America. The spa features indoor/outdoor pool, fitness center, wellness classes, and more. 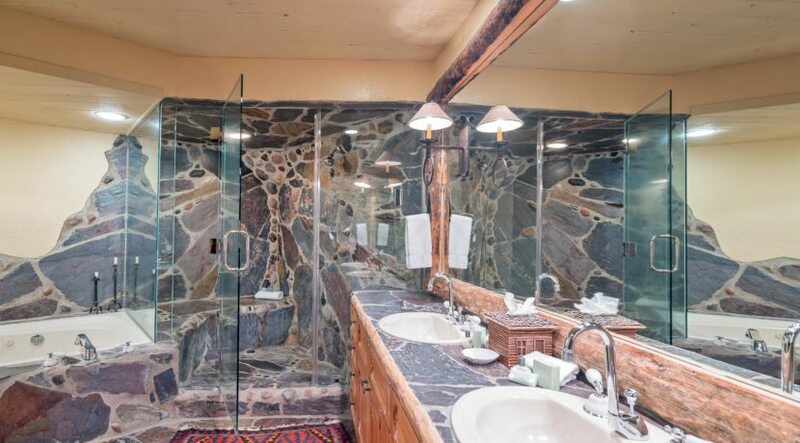 Additional services include daily housekeeping, concierge services, and valet parking.